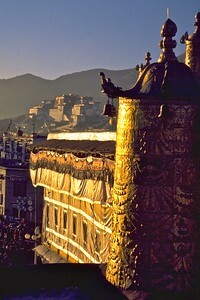 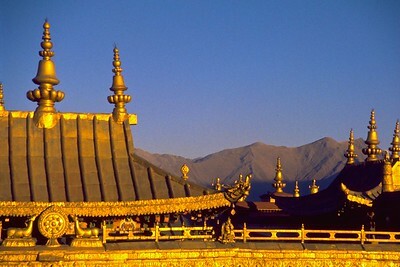 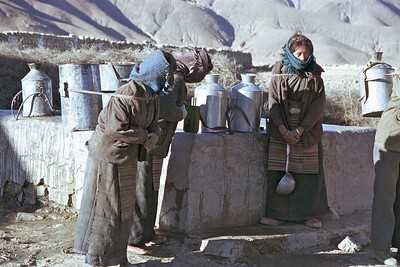 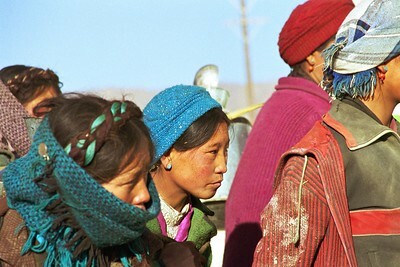 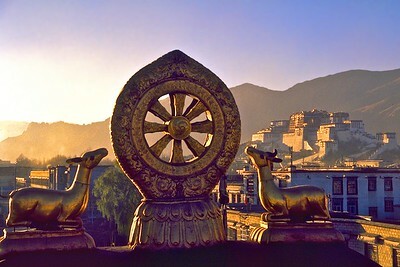 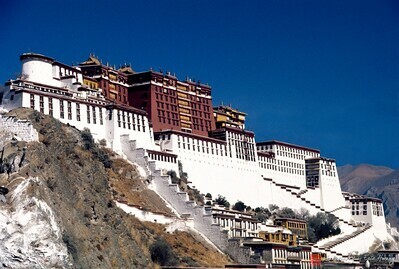 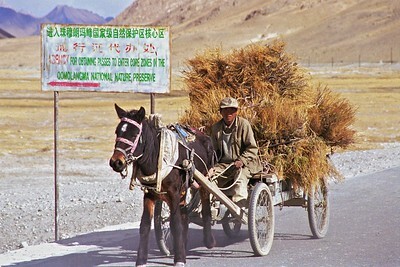 Images from in and around Lhasa, the capital city of Tibet. 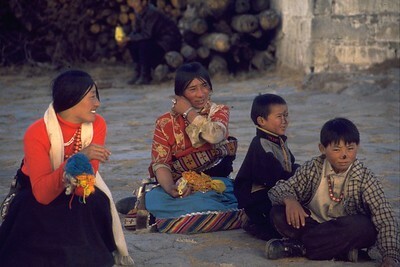 Some are older images and others are more recent. 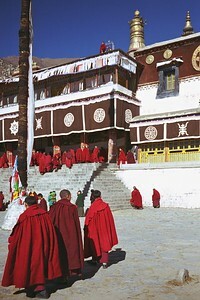 Inside the Drepung Monastery in Lhasa. 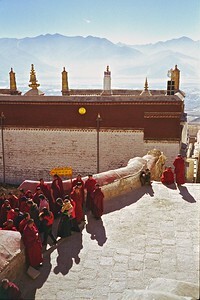 Monasteries in Tibet generally don't allow photography inside. 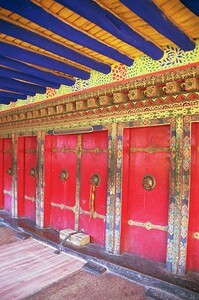 Since the interiors are often dark, using a flash would disturb meditation and eventually fade the vibrant colors of tapestries and murals. 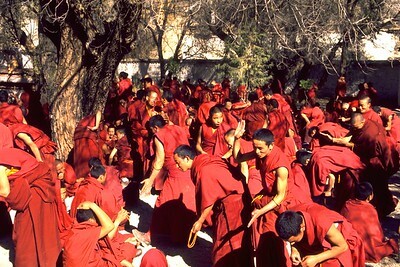 Some monasteries charge up to $300 just to be allowed to use your camera inside. 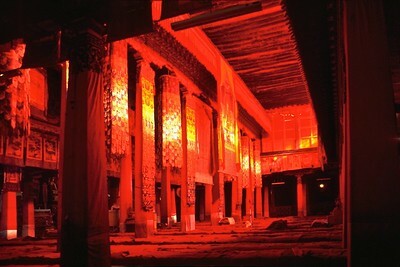 This picture of the main hall through which red filtered light shines in was taken discreetly with a remote electronic release while the camera itself was braced against one of the wooden pillars. 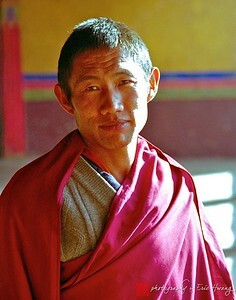 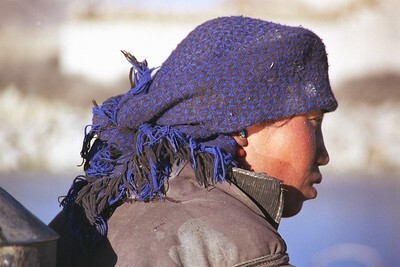 Tibetan monk at the Johkang Monastery. 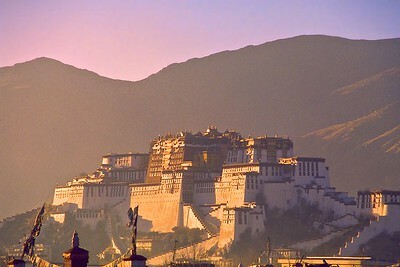 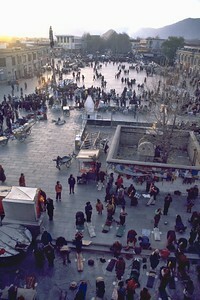 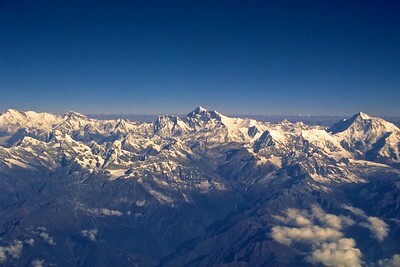 Lhasa, Tibet.